Can you believe I’m already in my 30’s but this is my first time that I have visited Manila Zoo. I’m not from Manila so I think that’s the reason and when I was growing we didn’t have the chance to visit the place. 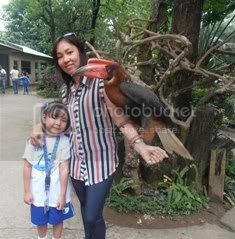 But finally last month I had the chance to visit Manila zoo because daughter had field trip. 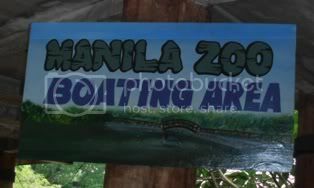 Happy to know they will be going in Manila Zoo because as I said it’s our first time to visit the place plus daughter keeps on bugging me to visit zoo. We have zoo in our place but its only a mini zoo so only few animals are kept in the place and no huge animals like elephant, giraffe and other big animals. Anyway, I was expecting much with the zoo because of what I have seen in other zoo (especially abroad) but I was so disappointed because we’ve only seen few animals. I was thinking were gonna see animals that we are not familiar. Well, I’m not sure if we already wandered everything of the Zoo and not sure if the animals we saw were the only animals they had but I’m still happy with the experience. Not sure with the name of this bird but its too heavy i’m almost give up but for the sake of souvenir photo, haha. And oops let me share upon entering Manila Zoo we saw crowded people and learned that Be Careful with My Heart has shooting, for those who are not familiar it’s a show in ABS-CBN a daytime drama airing before It’s Showtime. So we have the chance to see the leading stars Jodie Santa Maria, Richard Yap (known as Papa Chen/Sir Chief) and Mutya Orquia. 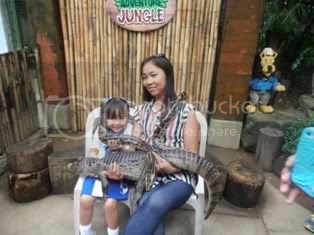 The stars of Be Careful with My Heart; daughter had the chance to have photos with Mutya Orquia. Haven’t been back there since grade school. Looks like it has lots of improvement. Previous Previous post: Hacienda Macalauan Inc.